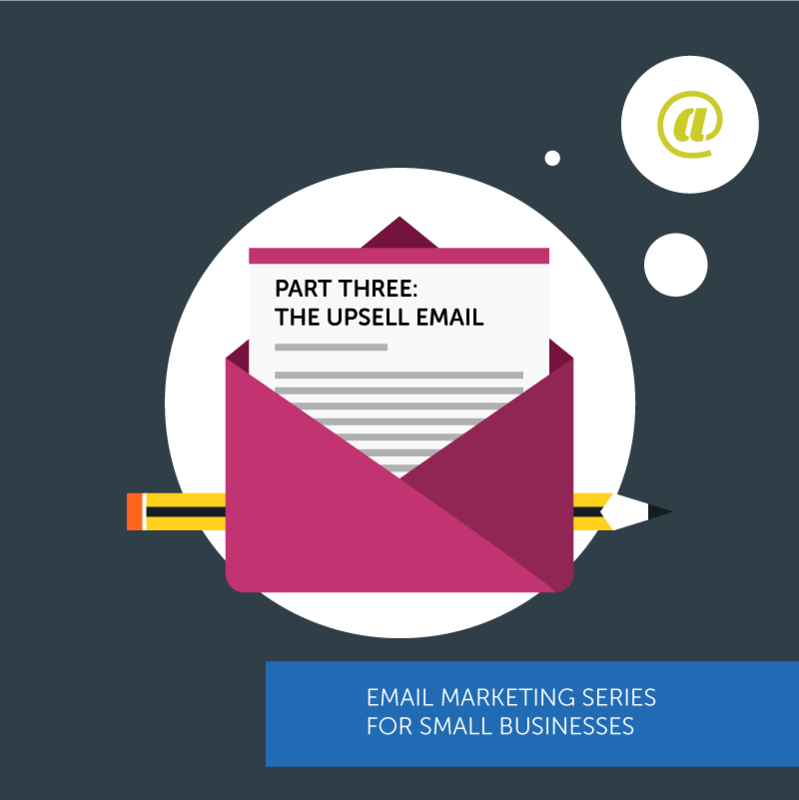 Here we are at part three of the small business owner’s guide to email marketing success. Your email marketing campaign is going pretty well so far. You’ve succeeded at getting people to join your email list. You’ve succeeded at lead nurturing. And now, you’ve succeeded at winning customers. But here’s a word of caution: don’t get complacent. And don’t think your email marketing work is over. It’s not. You’re just getting warmed up. A lot of business owners and sales reps miss out on a golden opportunity that’s right in front of them – repeat sales to their previous buyers. Today, let’s talk about how email marketing might look AFTER you make the sale. Have you ever felt unappreciated and taken for granted by a company you’ve bought from in the past? Not a pleasant feeling, right? Were you eager to buy from that company again? Of course not. The customer who feels jilted and forgotten is not likely to become the repeat buyer. So, before you consider email marketing to your customers, make sure that you’re delivering a stellar customer experience. That means providing a seamless, positive experience for your customers at every touchpoint – from each email they receive to each person they speak with at your company. Get customer service right, and email marketing after the sale will be easy! Say thank you right after the sale. Offer tips for getting the most out of your product or service. Send a reminder when it’s time to renew a service contract. Send them a free resource – like a checklist or guide. Staying in front of your customers year round ensures that when they are looking for a new solution related to the product or service they bought from you, they’ll think of you first. It also means that when the time comes to renew with you, they won’t hesitate because they’ve received value well after the sale. Returning customers spend 20% more than first-time customers. A new customer may just be testing the waters with your business. You have the opportunity to grow your relationship, continue to delight with every purchase and boost customer lifetime value across the board for your business. Use email marketing to present your customers with solutions that relate to their needs – whether it’s an upgrade, add-on, or related product. Amazon is the prime example of the cross-sell and upsell in email marketing. Notice how the confirmation email you receive contains product recommendations based on your purchase with thumbnail images and links to that product’s page. Amazon offers you complimentary products and makes it super easy to buy them. They also harness the power of social proof to help make more sales. The shipping confirmation email you receive tells you “Customers who bought ‘your product’ also bought” with images of complimentary products shown. The same principals can be applied to B2B businesses. Let’s say that you are a marketing agency and you just completed a web design project for one of your clients. If they just invested in their website, it’s logical that they want to keep it updated with fresh content. In your “Thank You” email, why not offer a free trial of your content marketing services alongside your sincere thanks? Subject Line: Thank You Again, Scott! Thank you for entrusting your website redesign project to me and my team at Rocket Marketing. Your website is a key investment, and I truly appreciate the privilege of helping you make it even more effective for your business. As a thank you, I want to extend a free trial of our content marketing services. We’ll happily provide you with 4 free blog posts for your new website this month. If you love it, we can talk about working together long term. If it’s not right for you, at least you’ll have a head start on content for your blog. You can sign up here. Should you have any questions, by all means feel free to contact me at bob@rocketmarketing.com or call us directly at 555-633-2727. It’s a win-win. Scott has a solution to publishing fresh content that helps drive leads to his new website each month, and you have opened another stream of recurring revenue from a client. You are going to love the way successful email marketing helps your small business grow and thrive. But it’s going to present a challenge. You are going to need to effectively and efficiently manage the relationships it helps you generate.